I have to get on this!! I like to have my Christmas cards done before Thanksgiving and I feel like time is going to FLY between now and then. 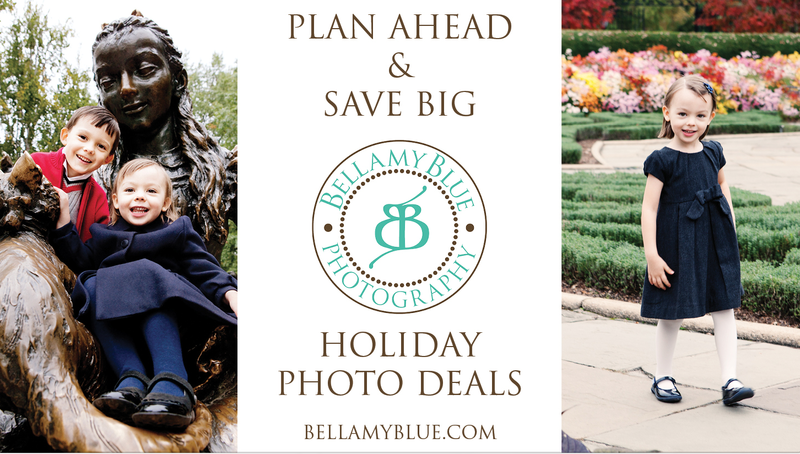 Bellamy Blue Photography is having a great promotion that I had to share in case you are looking for the PERFECT holiday card. Details on the full promotion is below. 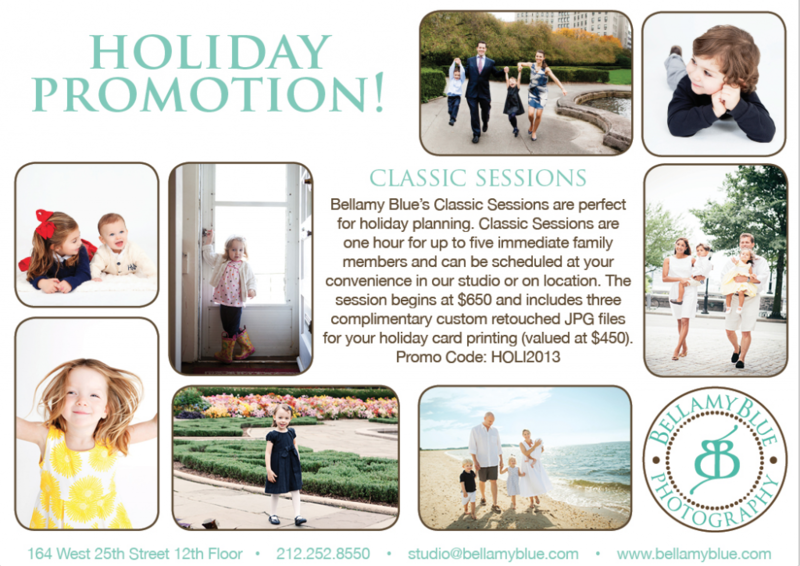 Be sure to use code HOLI2013 when setting up your session. With this code you will get 3 complimentary custom retouched JPG files for your holiday card printing! Absolutely take advantage of this promotion if you are in the PA / NY / NJ / CT area. Their studio is centrally located in Manhattan and the team is as talented as can be. I’ve worked with them on several different occasions and have been SO happy each and every time.